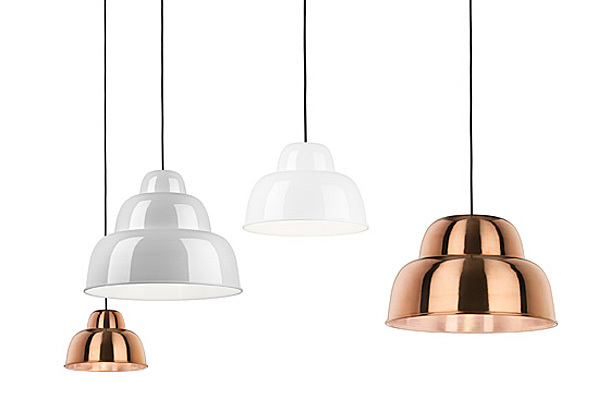 Levels is a metal pendent lamp designed by Form Us With Love for One Nordic. 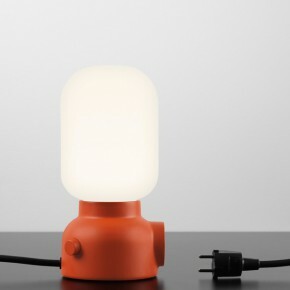 The lamps are made of multiple parts, assembled without tools. It comes in three different sizes and colours. 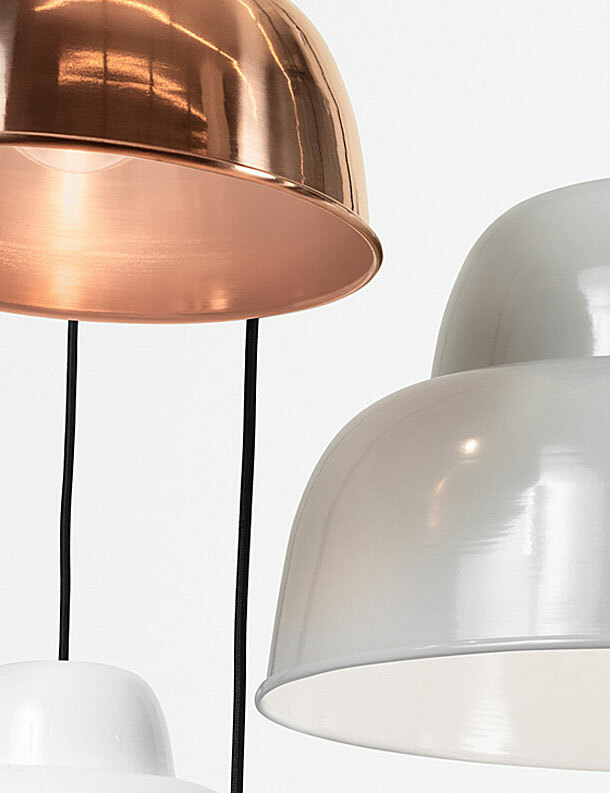 Launch at Stockholm Furniture Fair/Stockholm Design Week 2013. We love that the design concept is built on intuition, suggesting that the receiver understand more with less, says Form Us With Love. Form Us With Love found the solution for the Levels lamp hidden in the process. 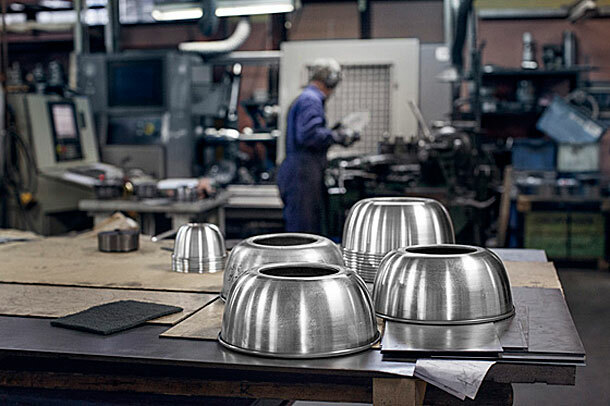 The idea came about as the studio went down to the factory in Sweden, best known for quality metal spinning. 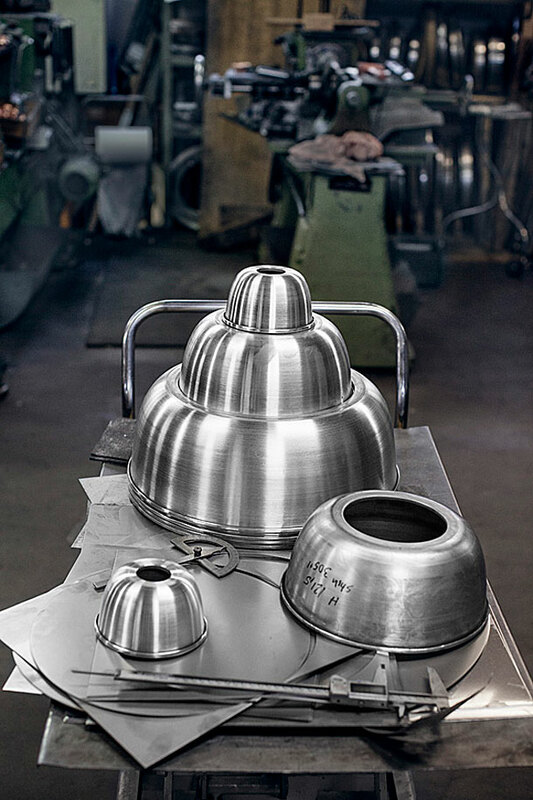 At the factory the metal sheets used for the lampshades are spun and pushed around a rotating mandrel until they reach perfect circle forms. 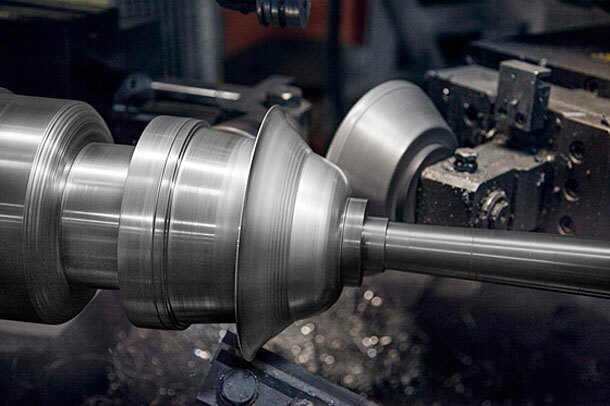 At the very end of the spin you give the shades a fold to support the structure. The spun fold gave us the idea of making the different sized shades hang from one another, allowing for the parts to be stacked when transported” Form Us With Love explains. 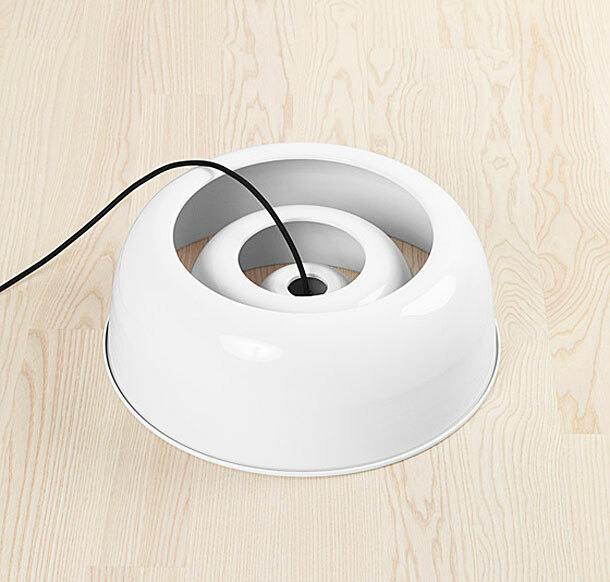 One Nordic is based around delicate simplicity, when the lamp is in its final form the easy dismantle is merely a hidden value behind a great design, says Joel Roos – founder of One Nordic.